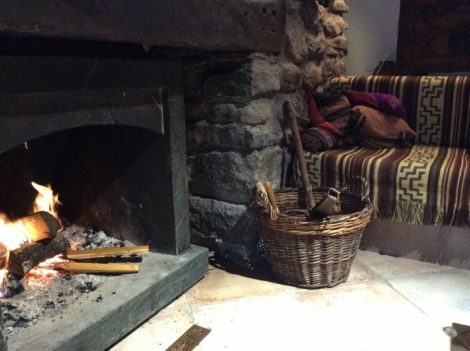 All good wishes for 2019 and my grateful thanks to all who have visited this site over the past year, especially those who have taken the time to comment. And of course special thanks to my co-contributor, Jennifer Shennan, who throughout the year opened our eyes to what was happening in the New Zealand dance world. 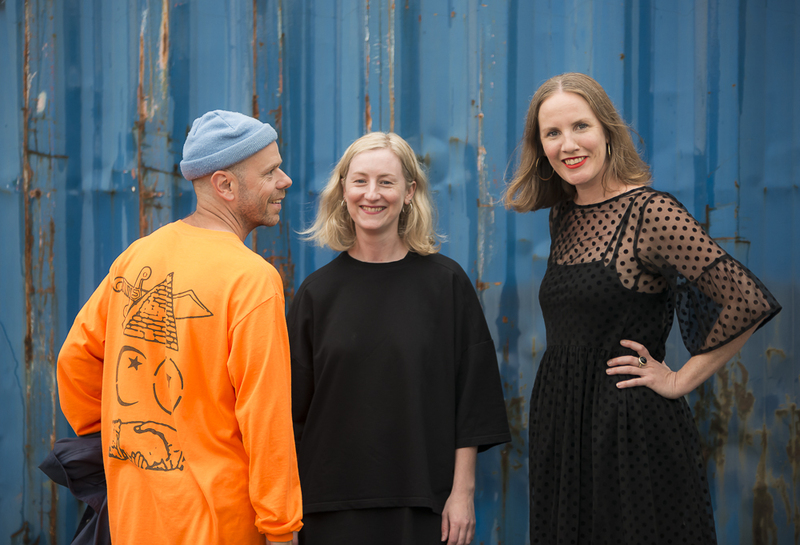 In Melbourne Antony Hamilton and Kristy Ayre will jointly lead Chunky Move following the resignation of Anouk van Dijk. They will be joined by Freya Waterson who will be responsible for the company’s national and international touring program. I look forward to seeing how the companies develop in 2019. While relaxing over Christmas I had the luxury of reading a few books, including two dance books. Eileen. Stories from the Phillip Street Courtyard, newly published, is a kind of memoir in which Eileen Kramer, former Bodenwieser dancer, recalls her life in Sydney in the 1930s. To be frank, it is not a well edited publication, but the glimpse it gives of Sydney is interesting and Kramer’s illustrations, done in the style of naïve art, are a delight. Douglas Wright’s ghost dance is a book that has been sitting, unread, on my bookshelf for a long time. Wright’s death earlier this year was my cue to get on with reading it. In his author’s note he writes: ‘ghost dance is not a conventional autobiography with a linear progression through life, but a faithful record of the journeys I felt compelled to make into my own past and that of a close friend.’ What an eye-opener some of those journeys were! 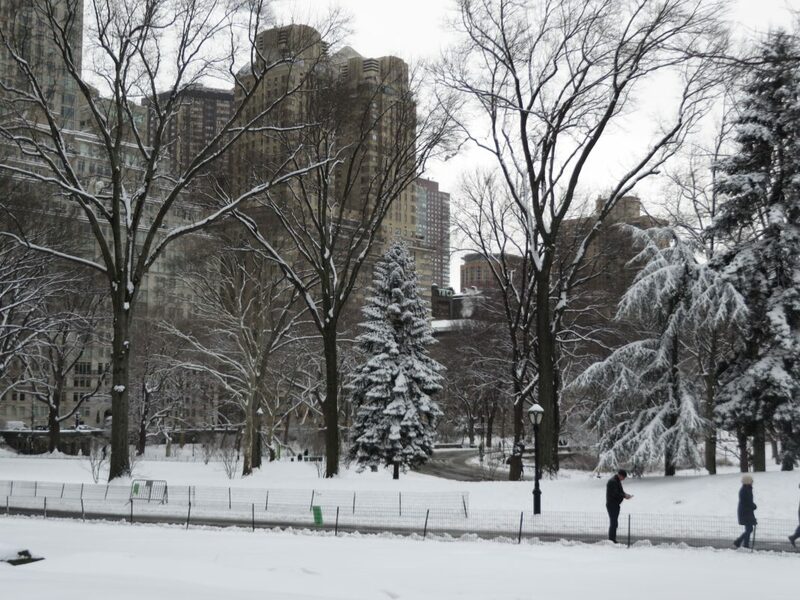 And I must say I learnt a lot about New York, where Wright lived while a dancer with Paul Taylor—things from the 1980s about which I had absolutely no inkling. But what was incredibly striking was his beautiful, often startling use of language. It almost outdid the creativity of his choreography. The rest of my reading concerned Indonesia … and Dances of Bali by Kartika D. Suardana awaits. While visiting the Tate Britain with the express purpose of examining the Tate’s excellent collection of Pre-Raphaelite paintings (Stanton Welch’s Swan Lake was inspired by The Lady of Shallot), I stumbled on a piece of performance art, The Squash. 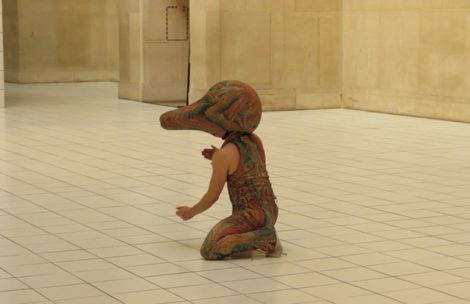 The work of British sculptor and performance artist Anthea Hamilton, it involved a single performer (a different dancer each day apparently), dressed in a squash-like costume (chosen each day from a collection of costumes), moving around a white tiled area. The program evolved from Hamilton’s research into performance art in the 1960s and 1970s and in particular from a photograph she found of a person dressed as a squash lying among vines. How does a squash move? Without much variety I think. But still it was a diversion. Some dance fans in Australia may remember Gillian Lynne from her work in 1975–1976 on the production of Fool on the Hill, a work for the Australian Ballet especially commissioned for television. More recently, I was impressed by her work in the revival of Helpmann’s early work Miracle in the Gorbals for Birmingham Royal Ballet, which I was lucky enough to see in London in 2014. And of course she has had a stellar career in musical theatre. 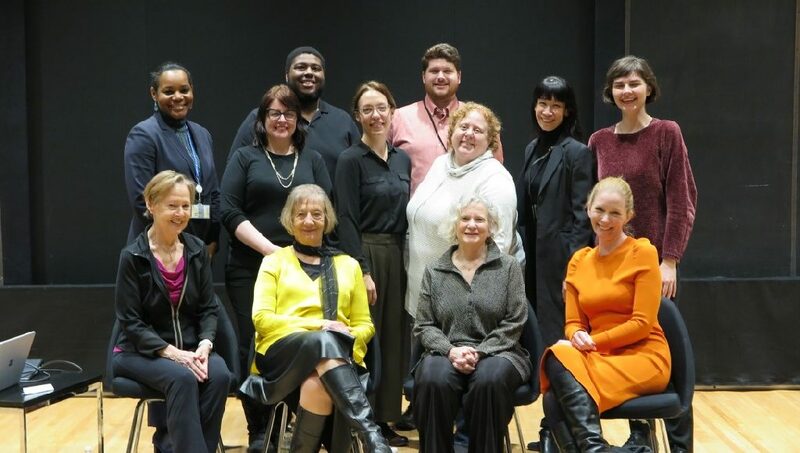 Promotional shot by John McKinnon of cast members in Fool on the Hill. 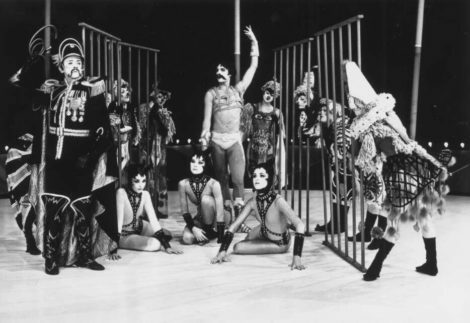 Robert Helpmann as Sergeant Pepper is foregound left, John Meehan is centre as the Puma Tamer. National Library of Australia. 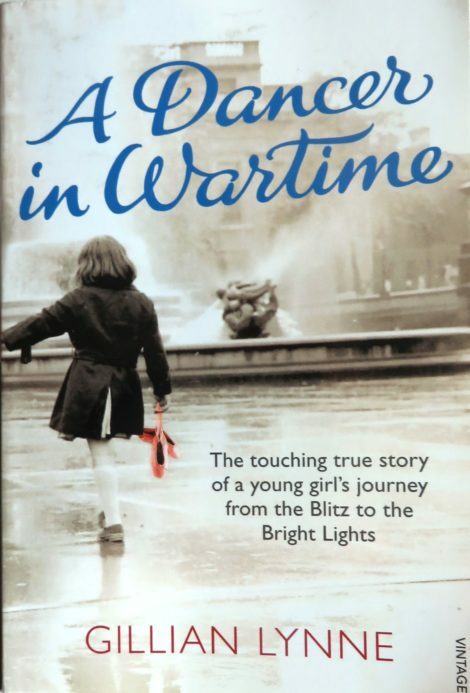 I was not aware until very recently of A dancer in wartime, an autobiographical account of Lynne’s early career as a student and then dancer with Sadler’s Wells. Published in 2011, it is a highly personal and moving work finishing with preparations for and the opening of the production of The Sleeping Beauty of 1946, the first production to open in the Royal Opera House, Covent Garden, after World War II. Definitely worth a read. Unfortunately, it leaves a few threads in the air. What, for example, happened to Geoffrey, a serviceman who seemed smitten with Lynne, who also seemed smitten with him. I have yet to discover the next part of the story! I had the pleasure very recently of visiting choreographer and director Gray Veredon at his home, La Mirande, in the Ardèche region of southern France. Veredon choreographed a number of ballets with designs by Kristian Fredrikson for Royal New Zealand Ballet and choreographed and directed two operas for Wellington City Opera, also with designs by Fredrikson. Veredon was generous in sharing his thoughts about working with Fredrikson, who admired him greatly. Fredrikson wrote, ‘I have over 30 years found only two [choreographers] who were intuitively visual and determined to incorporate the design into choreography and dramatic visual statements.’ They were Veredon and Graeme Murphy. Veredon’s thoughts on his work with Fredrikson, and on his own choreographic concepts, will feed into my biography of Fredrikson, which is nearing completion. 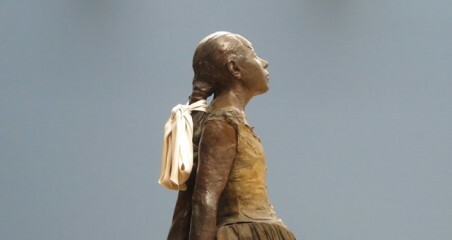 Edgar Degas’ beautiful sculpture of the little fourteen year old dancer, gorgeously displayed in Copenhagen’s gallery, Ny Carlsberg Glyptotek, and seen above in head and shoulders detail. 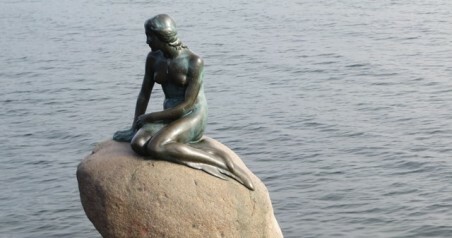 The Little Mermaid who sits on a rock on the edge of Copenhagen’s harbour. 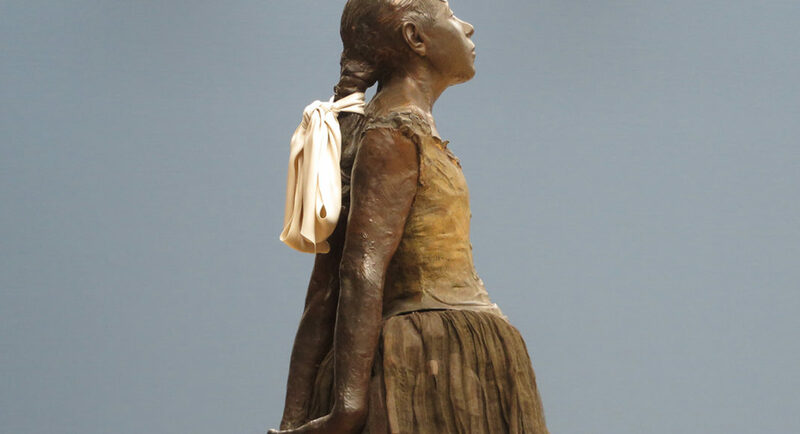 The inspiration for the sculpture was dancer Ellen Price who trained at the Royal Danish Ballet School and danced with the Royal Danish Ballet from 1895 to 1913. Price appeared in 1909 as the Mermaid in Hans Beck’s ballet based on the story by Hans Christian Andersen. For more see this article by Judith Mackrell with embedded archival footage. 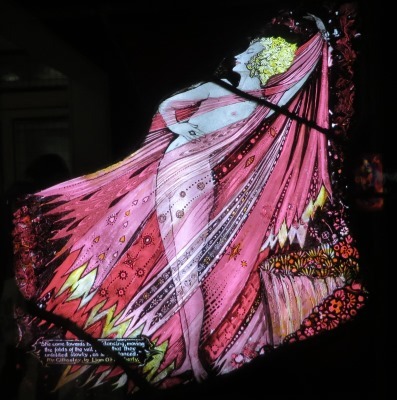 ‘Nelly dancing’, stained glass panel by Harry Clarke representing a scene from Liam O’Flaherty’s novel Mr Gilhooley. ‘She came towards him dancing, moving the folds of the veil so that they unfolded as she danced.’ A tiny gem from the 1920s in the Hugh Lane Gallery. For more see this link. I was interested to find in a bookshop in Cork a biography of Alicia Markova, which I had not previously come across: Tina Sutton, The Making of Markova. Diaghilev’s Baby Ballerina to Groundbreaking Icon (New York: Pegasus Books, 2013). 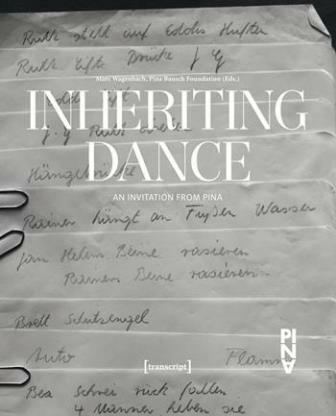 The author is a journalist without a dance background (and admits in the preface that she ‘knew nothing about Markova’ before she began her project), so there are some explanatory passages and slabs of text that those with some dance knowledge may find a little irritating, or unnecessary. Some frustrating repetition too and overuse of adjectives such as ‘brilliant’ and ‘famous’. Sutton has, however, drawn on previously unpublished source material from Markova’s personal collection, including her journals, which makes for interesting reading. The Markova collection, which appears to be extensive, is held in Boston University’s Howard Gotlieb Archival Research Center, Massachusetts. The Laughing Audience (detail) in William Hogarth’s house in Hammersmith. Hogarth used this 1733 etching as a subscription ticket when he jointly advertised his large engraving Southwark Fair with the series The Rake’s Progress. * With apologies (or really in homage) to Alexei Ratmansky whose charming ballet From foreign lands made such an impression on me a few years ago. Bangarra Dance Theatre has a special program coming up at the end of November—a brief revival of Ochres at Carriageworks in Sydney beginning on 27 November. Ochres was one of Bangarra’s earliest works and is still regarded as a milestone in the company’s history. Co-choreographed by Stephen Page and Bernadette Walong, it was first performed in Sydney in 1994. 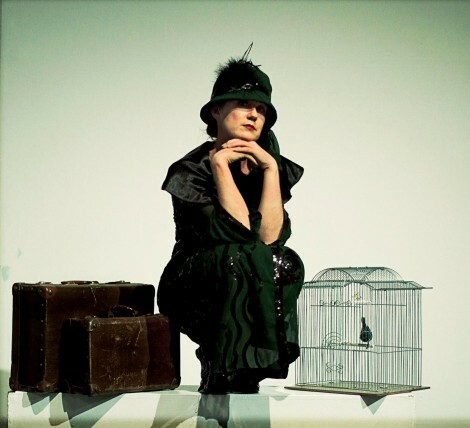 In 1995 it came to Canberra as part of the National Festival of Australian Theatre, the brainchild of Robyn Archer and for a few years one of the highlights of the theatre scene in Canberra. Anyone who was lucky enough to see Ochres back then in its first years will never, I am sure, forget Djakapurra Munyarryun smearing his body with yellow ochre as the work began. Looking back through my archive, I discovered a review I had written for Muse, a monthly arts magazine produced in Canberra and initially edited by Helen Musa (Muse—like the Festival—is now, sadly, defunct). Re-reading the review I found I had speculated in 1995 on how Bangarra would develop in future years, especially in regard to the growth of a recognisable Bangarra style and vocabulary. Well that has certainly happened and it will be interesting to look back on Ochres as an early work in which Page and Walong were testing ways of doing just that—setting Bangarra on a journey to discover a contemporary, indigenous dance style. The word is too that Benjamin Millepied, now directing Paris Opera Ballet, would have liked to have dispensed with this ingrained competitive system of promotion, but the dancers voted that it remain. See this link for what is currently ‘trending’ regarding the promotions, and follow this this link to see an image of O’Neill (taken by Isabelle Aubert) with Pierre Lacotte after a performance of Lacotte’s production of Paquita. As an annual event on its performance calendar, QL2 Dance produces a short program of dance for its young and less experienced dancers, aged from 8 to 17. This year the program, All the Things, included choreography by Ruth Osborne, Jamie Winbank, Alison Plevey and Joshua Lowe with perhaps the most interesting moments coming from Plevey’s ‘girly’ piece about shopping, ‘Material Matters’, and Joshua Lowe’s male-oriented ‘I Need’ about ‘needing’ technological devices in one’s life. It was an entertaining, if somewhat sexist juxtaposition of ideas in these two pieces, which had been strategically placed side by side in the program. But the great thing about this annual event is the experience it gives these young dancers. 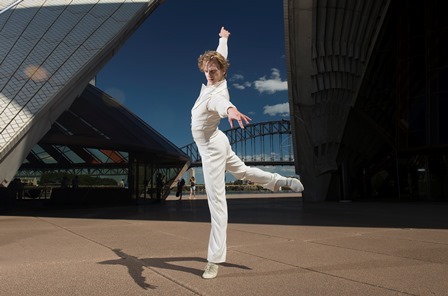 James Batchelor (independent), Daniel Riley (Bangarra Dance Theatre) and Sam Young-Wright (Sydney Dance Company) are just three current professionals who had early dance experiences with Quantum Leap. One of the most pleasurable experiences I had while working in New York between 2006 and 2008 was visiting the studio of dance photographer Lois Greenfield. I was there to buy a collection of her images for the Jerome Robbins Dance Division. She is about to launch a new book. See this link for details. ‘Lording it in high-tech high jinks.’ Review of Michael Flatley’s Lord of the Dance: Dangerous Games. The Canberra Times, 9 October 2015, ‘Times 2’ pp. 6–7. Online version. ‘Sizzling and simply sensational.’ Review of Natalie Weir’s Carmen Sweet for Expressions Dance Company. The Canberra Times, 13 October 2015, ‘Times 2’ p. 6. Online version. ‘Dancing our way next year.’ Preview of dance in Canberra in 2016. The Canberra Times, 26 October 2015, ‘Times 2’ p. 6. Online version. ‘Listless on the Lake.’ Review of Swan Lake by the Russian National Ballet Theatre. The Canberra Times, 31 October 2015, ARTS, p. 20. Online version . Victoria Tennant is the elder daughter of Cecil Tennant and Irina Baronova, the latter so well-known in Australia where she first charmed audiences with her dancing in 1938 with the Covent Garden Russian Ballet, and where she also spent her last years in a beautiful house at Byron Bay, New South Wales. Victoria Tennant, of course, knew Baronova in quite a different role from her legion of Australian fans: ‘Our mother was devoted to us,’ she writes, ‘and not exactly like anyone else’s mum. No one else’s mum did pirouettes in the butcher’s.’ This observation perhaps encapsulates the tenor of this book: it is a very intimate memento built around a personal collection of letters, photographs and other archival materials. What is especially attractive about this book is its extensive use of photographs, which have been drawn largely from Baronova’s own collection. Many have never been published previously. Some are glamorous shots from Baronova’s Hollywood years. Others are informal shots of family and friends. Yet others are lesser known shots and early images from ballets in which Baronova starred. Images from Irina Baronova and the Ballets Russes de Monte Carlo by Victoria Tennant: clockwise from top left, Baronova in the movie Florian, 1940; driving with friends from San Diego to Los Angeles, 1936; in costume for Le Spectre de la rose, 1932; in costume for Thamar, 1935. The book also has a special quality because much of the text consists of quotes from letters, an oral history made for the New York Public Library’s Dance Division, and recorded conversations made by Baronova at various times, although, unfortunately, it is not always clear which source is being used. But the informal voice of Baronova is strong. Anyone who met her, however briefly, or saw her speak in public, or teach or coach, will recognise that the words are hers and will be charmed all over again. These sections are differentiated from the linking text, written by Tennant, by the use of a differently coloured font. There are some beautifully insightful moments when Baronova talks about working with various choreographers in different ballets. I was especially taken by her comments on Les Sylphides. Nobody realizes that in Les Sylphides the whole thing is a dialogue between the Sylphides and the invisible creatures of the forest. It’s a whispering talk. All the gestures are listening, questioning, whispering back. It’s a conversation, and the Sylphides turn in the direction of the voice they hear and run to it. If you don’t know that, there are no reasons for doing anything, it’s just empty and boring. The whole ballet should be acting and reacting. To do it any other way is not fair to Fokine. The chapter on Baronova’s time in Australia, 1938–1939, is short. But much has been written now about that time in Australia’s ballet history (although the last word has not yet been said I am sure) and the book is balanced in its coverage of the many strands of Baronova’s life. From a reference point of view it is good to have a list of Baronova’s repertoire from 1931 to 1946, although it is a shame that her film roles are not included as well. Irina Baronova and the Ballets Russes de Monte Carlo has been beautifully designed and produced and, with its strong focus on imagery, makes a wonderful companion to Baronova’s autobiography. Hardback, 244 pp. ISBN 978 0 226 16716 9 RRP USD55.00/£38.50. I was surprised to be contacted earlier this month by the curator of the Johnston Collection, Melbourne. 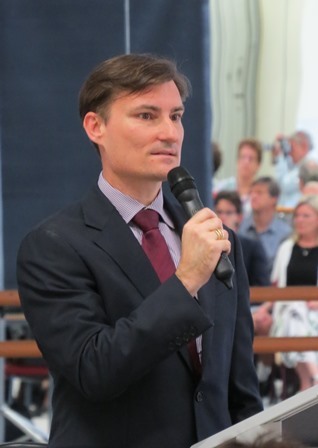 David McAllister, artistic director of the Australian Ballet, will be a guest curator there in the first part of 2014 and will be adding some Australian Ballet costumes to the rooms of Fairhall, the house in which the collection of antiques amassed by dealer William Robert Johnston is displayed. I will be presenting a lecture at Fairhall in June—From bedroom to kitchen and beyond: women of the ballet. More later. Over the holiday break I enjoyed reading Andrew Montana’s biography of Loudon Sainthill, Fantasy modern: Loudon Sainthill’s theatre of art and life, published in November 2013 by NewSouth Books. There are a few irritating typos and errors (Alicia Markova wasn’t married to Colonel de Basil—at least not as far as I know!) and some odd references in the notes. But, as ever, Montana has researched his topic very thoroughly and, while it is essentially a book written by an art historian, it gives a fascinating glimpse of the cultural background in which Sainthill and his partner Harry Tatlock Miller operated. That background of course includes Sainthill’s commissions for Nina Verchinina during the Ballets Russes Australian tours, as well as his work as a designer for Hélène Kirsova, and his activities during the Ballet Rambert Australasian tour of 1947–1949. In addition it was Harry Tatlock Miller who was responsible (in conjunction with the British Council) for bringing the exhibition Art for Theatre and Ballet to Australia. There is some interesting information too about the 1940s documentary Spotlight on Australian Ballet. So Fantasy Modern is interesting reading for dance fans as well as historians of theatre design. 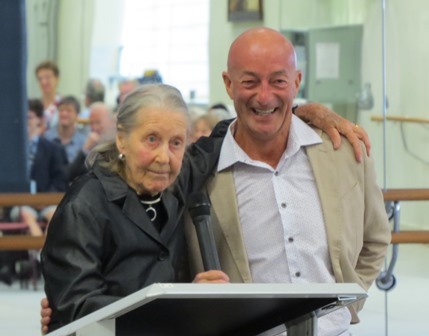 I was pleased to hear recently from Barbara Cuckson that Sydney-born Bodenwieser dancer, Eileen Kramer, had returned to her city of birth. Not only that, she has reached the grand old age of 99. She is seen below on her 99th birthday wearing a Bodenwieser costume, which she designed all those years ago. Eileen recorded an oral history interview for the National Library in 2003. It is available for online listening at this link. Hannah O’Neill; Ty King-Wall; The Australian Ballet; Ballets Russes; Paris Opera Ballet; Olga Spessivtseva; Dandré-Levitoff Russian Ballet; Leanne Stojmenov; Athol Willoughby; Meryl Tankard. Visitors to the site may also be interested in what is probably the last comment for 2013. I am attaching a link to comments on a book review I wrote in January 2012. The comment queried whether the author of At the Sign of the Harlequin’s Bat, Isabelle Stoughton, is still alive. As you can read, she is. And finally I couldn’t help but notice a sentence in a roundup of events for 2013 by Fairfax journalist Neil McMahon. Writing of Australian political happenings over the past year he said: ‘The policy pirouettes on both sides were en pointe, but graceless’. I’m not holding my breath for a graceful political scene in 2014. The dance scene might be better odds!